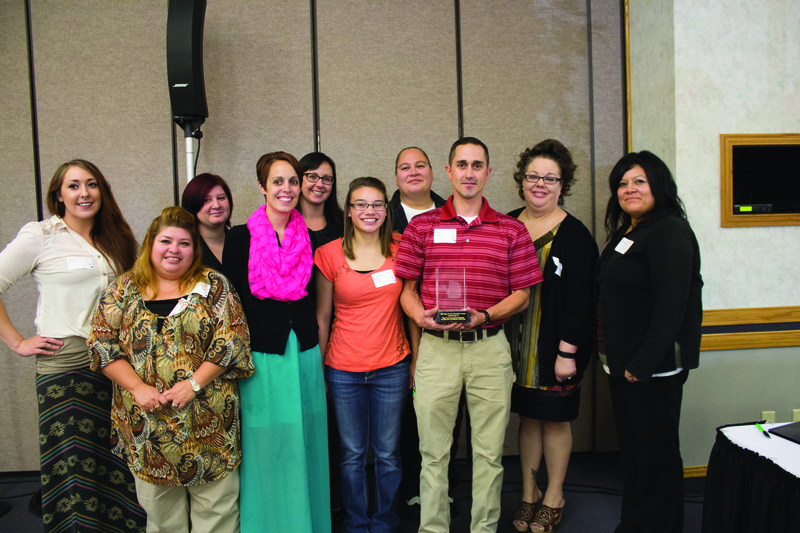 At UpPour 2014, The Panhandle Partnership for Health and Human Services received the Mike Yanney Community Award for their powerful work on behalf of Western Nebraska’s children and families over the last 15 years. Founded in 1998, the Panhandle Partnership is made up of 45-member organizations and agencies—schools, non-profits, healthcare, public health, community action, colleges, community groups whose staff and directors provide 2,300 hours of volunteer time each year. 15 years of Lifespan Respite Services providing an average of 36 hours per month to support home-based caregivers each month. Through collaborative work with Dr. Mark Hald, 127 physicians, nurses, physiotherapists, Department of Health and Human Service workers, early childhood providers have participated in education programs on the impact of adverse childhood experiences and toxic stress on child development. And through the collaborative work of nine trained parent educators, 171 parents of 337 children have participated in eight-session Circle of Security Parenting classes. Collaborative effort over the last five years to develop innovative systems for rural runaway and homeless youth. In the past five years, 131 homeless youth between 16 and 21 years of age have received supports to find safe stable housing, education, employment and permanent connections in the community.